They already have two color-reversed logos. Thanks! We are excited. Hope some of y'all come visit Nippert stadium and enjoy some of our amazing craft beer in the beer garden outside the stadium! Too bad you have a boring name. I grew up around Cincinnati and became a Columbus Crew fan when MLS began. 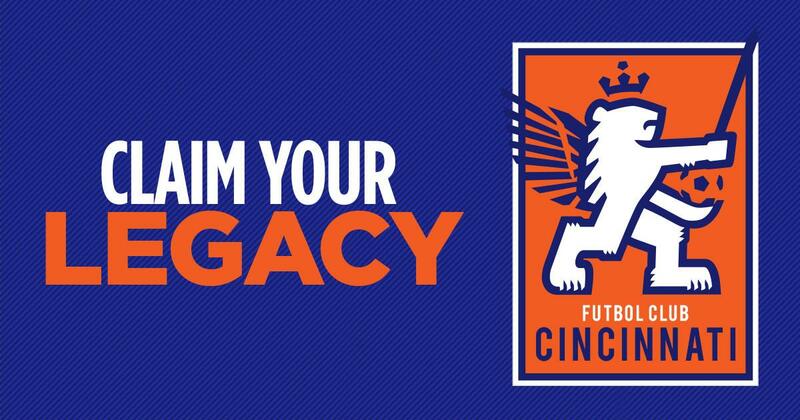 I don't live in Cincy anymore but I'm super excited for FC Cincinnati none the less. I know the ownership group has MLS aspirations and I can only hope the community latches on to them. Someday, my dream of an Cincinnati MLS team will maybe come to pass. 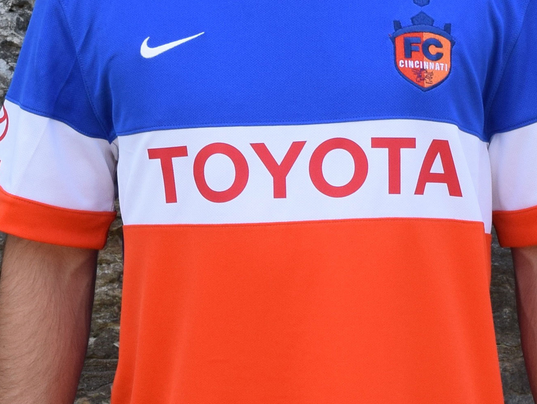 In the meantime, I'll be following FC Cincinnati and I'll definitely wear blue and orange when they come to play the Monarchs. is this team realted to those folks who were behind the dayton dutch lions and all of the other "dutch lions" teams around the country? i only ask because the lion and the orange color seems oddly similar? The Dutch Lions folks, at least the Cincy/Dayton DL, are minority owners. 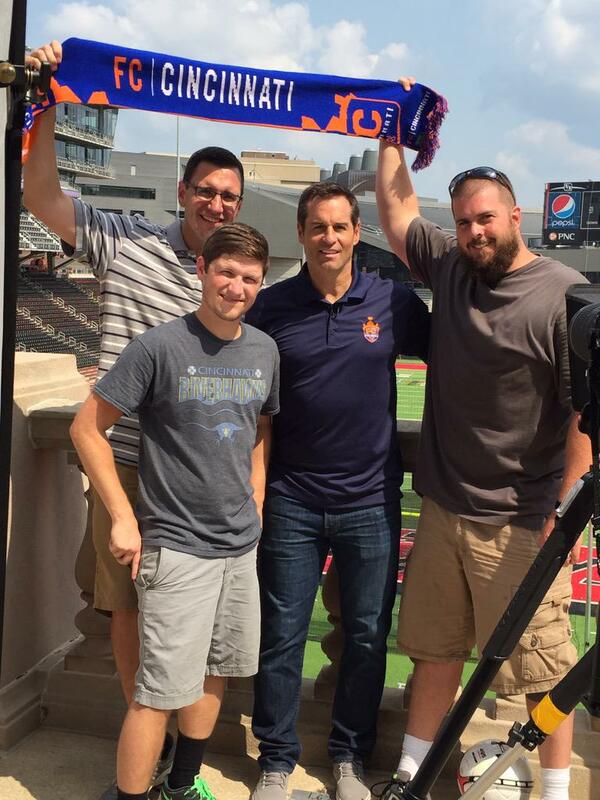 Carl Linder III is the majority owner for FC Cincy. He is the CEO of Great American financial group and is worth over a billion dollars. His father used to own the Cincinnati Reds. Yep. It should be cool like United! What that thingy above the crown? Look at the negative space. 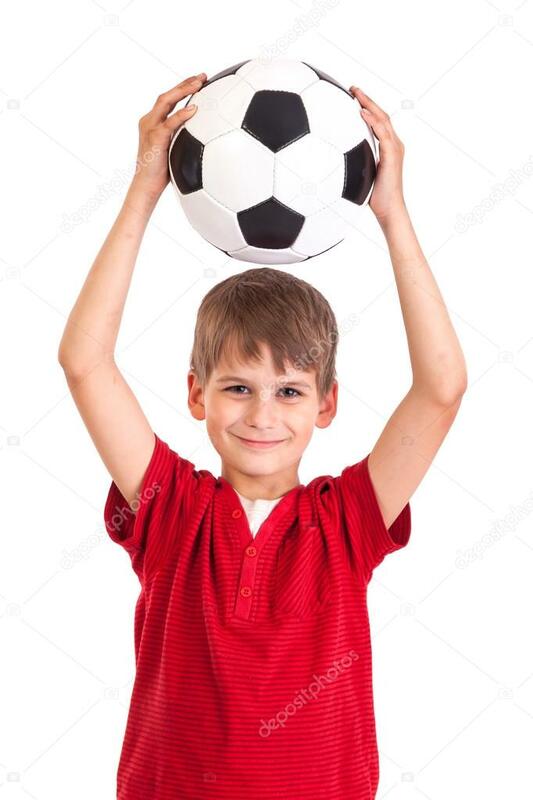 I can't find the picture I saw before, but the crown is the pentagonal patches on a classic soccer ball. Connect the pieces in an arc and you'll see it better. I, for one, love the bomb-pop uniforms. However, I think $100 is a little pricey. I guess they're authentic unis and not replicas? How clever! Not feeling the name but I'm sure they will nicknamed the Dutch Lions by the fans, which is a cool name. I like everything I've seen with this team. I'm sure getting a SSS inside city limits would be pretty hard for a D3 team but at least they are playing in the smallist Nippert Stadium instead of Paul Brown. Why would they call them the Dutch Lions? No one called the USL team that when the Dutch Lions were actually playing. I think you grossly over value a defunct team. This new team seem to be doing things right. So, I'm being lazy...where is the team planning on playing, or hasn't that been announced yet? Thanks for enabling my laziness! I've seen some people refer to them as the Lions but I hope that doesn't stick. the FC Cincinnati higher ups have said they have MLS intentions. There are already two teams in MLS with a lion motif. I want people to call FCC the Kings.